The map above depicts the likelihood of arsenic in well water (green=low probability and red =probability >50%). Source. Arsenic, a naturally occurring contaminant in some groundwater, is a major contaminant of concern for human health worldwide. Long-term exposure to arsenic can lead to a host of health issues, including heart disease; cancer of the bladder, lung, liver, prostate, and skin; diabetes, and more. A USGS model published in 2017 predicts 2.1 million people in the United States drink well water containing arsenic above the EPA Maximum Contaminant Level of 10 ug/L. 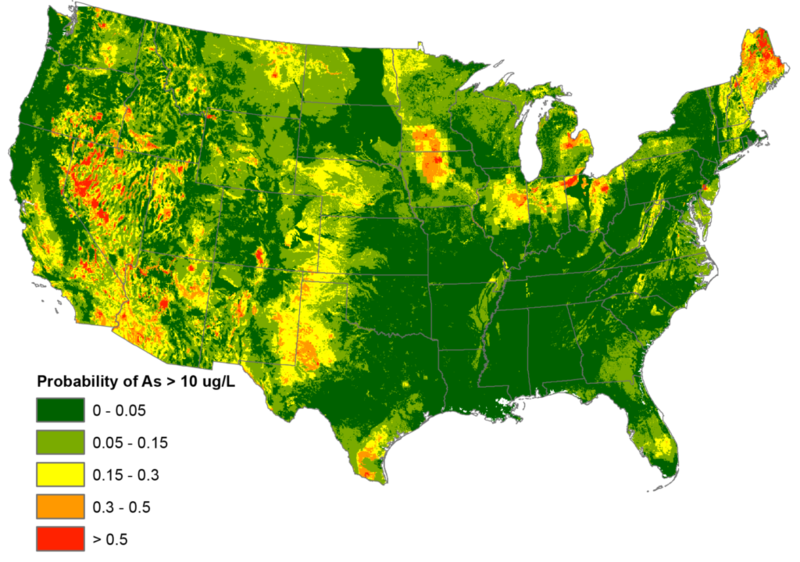 The map above shows the probability of finding arsenic greater than 10 ug/L in wells across the continental United States. In states like Maine and New Hampshire, wells are usually drilled into hard crystalline bedrock, which tends to increase the likelihood of high arsenic. Maine and New Hampshire also have among the highest per capita reliance on private wells for drinking water in the United States (ME: 56% and NH: 46%), yet testing rates are low. 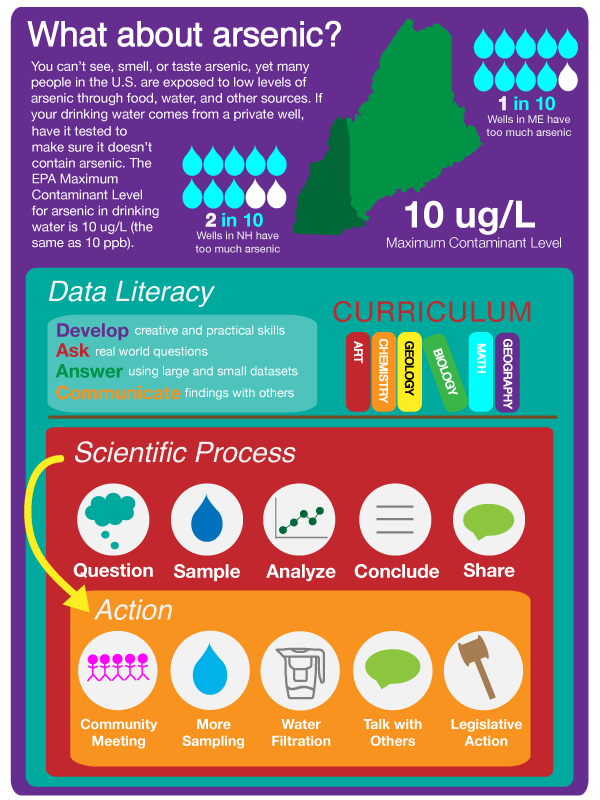 Use the scientific process to ask real-world questions about drinking water contamination. Collect well water samples in their communities. Analyze data and answer questions using data they, and other students in Maine and New Hampshire, collected. 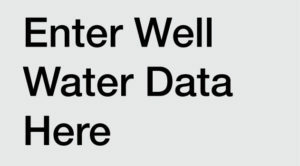 Use data to increase awareness about the importance of having your well tested. 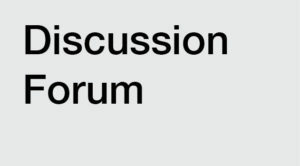 Mobilize their communities to address issues related to private well water safety through community meetings, forums, and events. “Data to Action” is a 5-year NIH-NIGMS Science Education Partnership Award (SEPA) to create and pilot a national model of STEM (Science, Technology, Engineering, and Math) education.